Situated on agricultural land that is perfectly suited for vineyards, Napa Valley is famous for its beautiful nature in wine making. 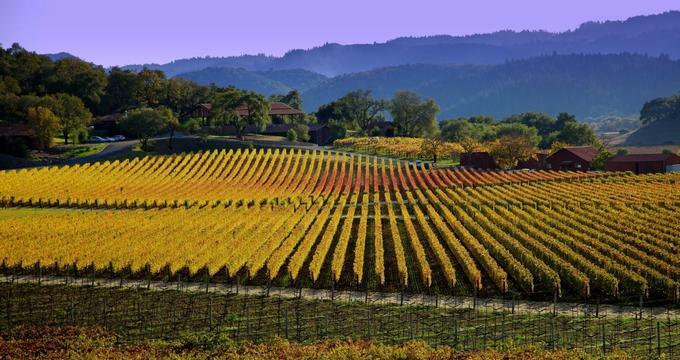 Ride the famous Napa Valley Wine Train, stroll through Downtown St Helena, see a performance at the theater and go on a fun tour that will let you get to know this beautiful Northern California destination. Many of us wish that we could experience the romance of the past centuries, and the Napa Valley Wine Train gives you just that. Guests are served multiple meals of their choice. 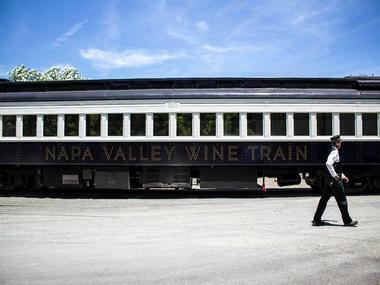 The service is excellent on this antique train running along a 25-mile track in the Napa Valley. The train has Pullman rail cars that are accented with Honduran mahogany paneling, brass furnishings, and glass partitions, not to mention the cozy plush armchairs that offer those desirable vintage memories. Guests also visit the Napa Valley Love Lock Bridge, which connects the valley’s wine station to the boarding platform. They can buy padlocks inscribed with their names or initials to make their tour even more memorable. St Helena is an active community with some of the best wine immersion experiences. 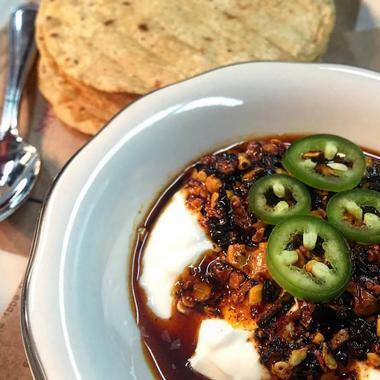 The town is home to some of the top restaurants in California, attracting both local and international guests with their classic meals and outstanding customer service. Spend an afternoon in Crane Park where you can have a picnic or visit the playground with the kids. Relax at a day spa, visit an art gallery and explore the area by bike. 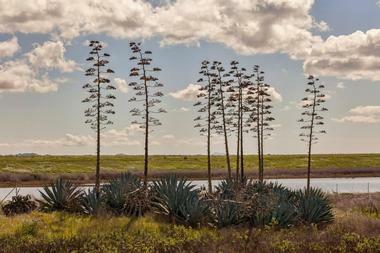 St Helena is not to be missed on your tour of the valley. The Napa Art Walk showcases a range of unique and beautiful art by talented artists. It also holds an international exhibition every two years, exhibiting the best sculptures of the period and offering them for sale. The selected sculptures are assessed by a jury to ensure that they are among the best. 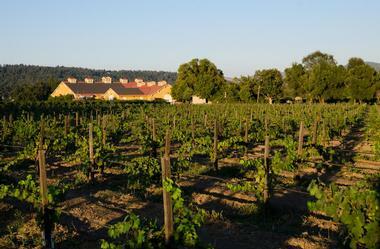 Round Pond Estate is located in the Rutherford region in Napa Valley. It is located in the midst of vineyards, gardens, and orchards, giving it a perfect and natural country look and luring guests to enjoy a cool breeze during wine tasting. The estate provides guests with an opportunity to taste local wines, such as the Vineyard Cabernet Sauvignon wines, alongside other delights such as olive oil, red wine vinegar, and artisan syrup. Round Pond Estate is known to provide the best red wines, among them the award winning Kith and Kin, Left Bank Blend, and Rutherford Cabernet. 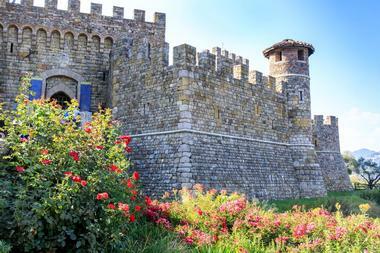 Visit this Tuscan-style castle, with its several different and captivating levels, to get a taste of an Italian winery. This beautiful site includes a stream winding through a valley surrounded by large hills. The Napa County Historical Society was established in 1948 with the purpose of preserving local history. It secured Goodman Library, close to downtown Napa, where diverse topics on Napa Valley history are kept in books, manuscripts, publications, scrapbooks, maps, blueprints, and other ephemera. The society provides exhibits, lectures, events, and research and educational activities to keep their county’s history live. Historical tours and sightseeing groups are welcome at the library. The tourists receive a guided tour from professional and experienced historians who take them through diverse topics and answer any question on historical Napa. It is a perfect experience for students and researchers who are interested in the history of America and of the Napa County in particular. Hall Napa Valley is one of the most beautiful vineyards in Napa Valley, located near the slopes of the Mayacama Mountains. It is owned and run by Kathryn and Craig Hall. The winery is known for its superb cabernet sauvignon made in the old style of the great Bordeaux wines. The tours of the vineyard and the winery start with a glass of Sauvignon Blanc and a slow stroll around the magnificent grounds. Let their experienced wine experts tell you the stories about the Hall, its vision, and the history of the property. They will guide you through the meticulously restored historic Bergfeld building and point out some of the special pieces in the extensive art collection. The tour ends in one of their private salons where the guests can sit down and taste four of their award-winning artisan wines. 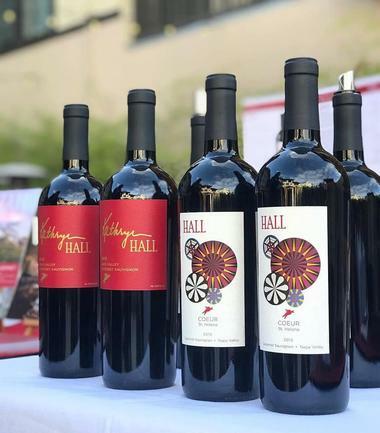 Located on the estate that was once the Cedar Knoll Vineyard Company founded in 1881, Palmaz Vineyards is a unique Napa Valley winery owned and run by the Palmaz family, originally from Argentina. Abandoned and dilapidated for years, the vineyards had to be replanted, the building rebuilt, and the vinery completely redesigned. The family today cultivates about 55 acres, mostly devoted to cabernet sauvignon, but also Riesling, chardonnay, muscat and small plantings of other grapes. Palmaz Vineyards is famous for their massive underground wine cave cut into the Mount George rock, enormous underground fermentation dome, and a unique process of wine making that uses the latest technology to control and monitor wine production. The winery today produces about 9,500 cases of wine yearly, mostly cabernet sauvignon and chardonnay. Other varietals are only available at the winery. 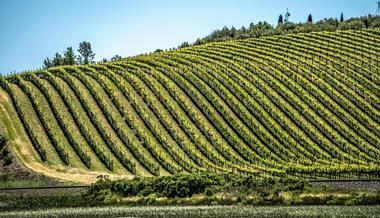 Napa Valley Bike Tours offers a range of experiences to suit different preferences and budgets. You may start your ride from Napa, St. Helena, or any of the other prescribed start points and then proceed to various destinations, all with varying distances and all along the Napa Valley Vine Trail. Route maps for self-guided riders are provided and expert advice and tour guides are also available to prevent any form of confusion. 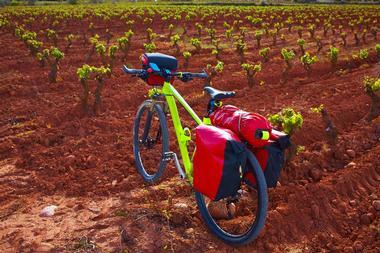 There are more than thirty wineries along the trails, ensuring that even casual riders can enjoy the trip. There are custom programs for corporate groups, such as team building activities. di Rosa Center for Contemporary Art offers a unique setting where visitors can view the art of Northern California. 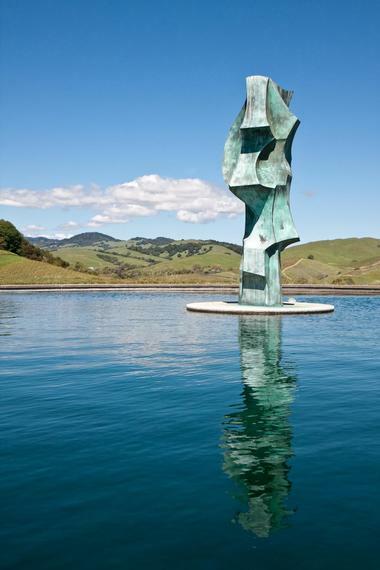 Sitting on 217 scenic acres in a former vineyard in Napa Valley’s famed Carneros region, the center features a number of galleries, a sculpture park, and a 35-acre lake. 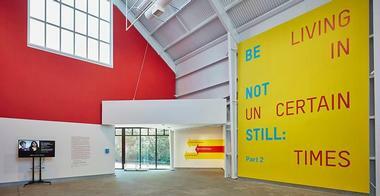 di Rosa Center for Contemporary Art started as a vision of the vineyard owner and art collector Rene di Rosa who donated the proceeds from the sale of his vineyard for the development of this world-class art center. Today di Rosa Center organizes exhibitions of contemporary art by regional artists and offers a range of educational programs for children and adults. The center also maintains a permanent collection of works by notable artists who lived or worked in the San Francisco Bay Area since the mid-twentieth century. The collection includes a wide range of media, styles, and subject matter. The main objective of Napa Valley Horse Company is to teach horse riding skills to the local youth community, thus promoting ethics and values through the medium of natural horsemanship. The company uses horses that would otherwise have been bound for slaughter. Guests find it thrilling to visit the horse company and ride through the cool, quiet, and serene vineyards. Family horse riding is available on Sundays and there are experienced guides to take you across the terrain. Guests also learn the skills of tacking-up and grooming their horses. Riders are encouraged to be attired in heelless boots, jeans, and a helmet. 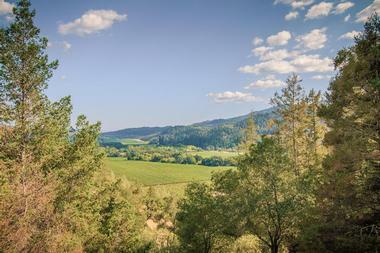 The American Canyon is at the southern end of Napa Valley. From here you have the advantage of exploring the Carneros wine growing region, encountering the cool and foggy breeze that provides the perfect weather conditions for Pinot Noir and Chardonnay. The American Canyon offers a taste of outdoor adventure, with green hills and the Napa River completing the natural look. There is a 1.4-mile path through to the riverbank and there are plenty of melodious birds to keep your senses busy along the way. The Chardonnay Golf Club, lake, horses, and wildlife preserves crown this location, ensuring that recreation activities become part of your trip. 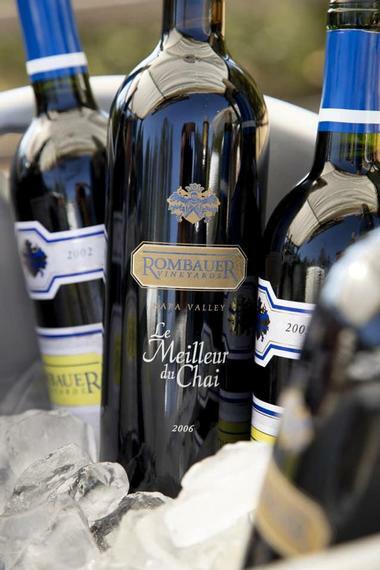 Rombauer Vineyards is a renowned Napa Valley wine maker established in 1980 by the Rombauer family. 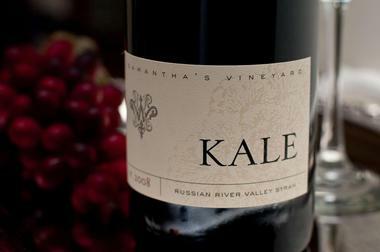 Their St. Helena Winery is located high up on a tree-covered hilltop near Silverado Trail. 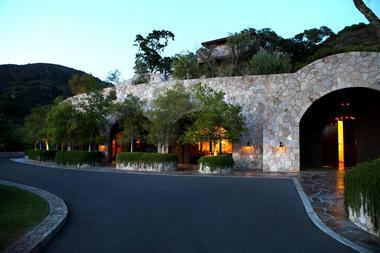 The winery is famous for their award-winning Chardonnay, Cabernet Sauvignon, Merlot, Zinfandel, and Sauvignon Blanc. The winery offers tours and wine-tasting by appointment. The winery’s tasting room has a wonderful porch that offers spectacular views of the Mayacamas Mountains and the surrounding lush garden with more than 100 plant species and many flowers. Among the greenery are whimsical artworks collected over time by Koerner Rombauer. 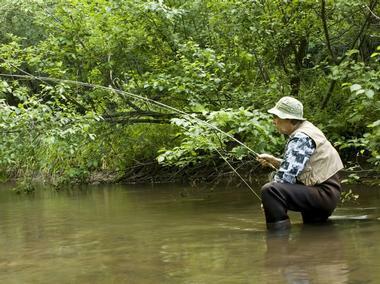 Napa Valley Fly Guides are headed by Richard, who has been a fisherman all his life. Fishing is his passion, and he has been part of the team for around nine years. Having extensive experience of Yuba River, Putah Creek, and Stanislaus River, he recommends them as best for fly fishing, which involves the catch-and-release method. Napa Valley Fly Guides offers a great way to spend a day outdoors and get to know Napa's beautiful nature. The Oxbow Public Market provides cocktail moments to help you relax from the noise and stress of the day. Guests are allowed to drink, dine, and even shop in the market at their own pleasure. The market is also dedicated to offering you original brands from California. There are drinks here made with Napa Valley Distiller’s handcrafted spirits and stored in Bourbon barrels to improve their color and give them the preferred oak taste. There are also such specialties as Brandy Cordial and Cherry Brandy, which have aged in the barrels and thus have a greater flavor as well as the sweet smell of butterscotch pudding, chamomile toffee, and treacle pie. 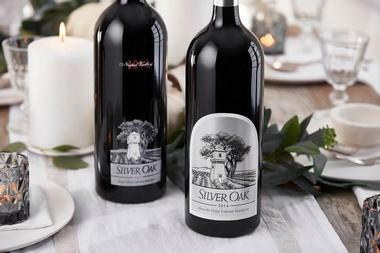 Silver Oak Winery is an Oakville winery that was founded by Justin Meyer and Raymond Twomey Duncan in a dairy barn in 1972. From its humble roots, the winery has grown to encompass more than 400 acres throughout the Napa and Alexander Valleys and has become the only winery in North America to operate an American oak cooperage. Second-generation Duncan family members operate the winery according to sustainable winegrowing principles, producing a wide variety of fine wines, including the company's signature Napa Valley Cabernet Sauvignon. Winery tastings and tours are offered at the company's public tasting room throughout the week, including private tours and tastings for small groups. All tour participants receive a complimentary Silver Oak wine glass for tastings that may be taken home as a souvenir after tours. Platypus Tours caters to both small groups between two and six people and larger charter groups with more than six people. Guests get a chance to have a relaxed and enjoyable conversation and a winery tasting, at only $15 per person per tasting, is also provided to enhance the light-hearted mood, and guests can be sure of getting the best wine brands available. Guests are taken to the tour on a bus, with mineral water and cheese provided, and a tour guide brings the guests through the history and charm of wine making and local culture. 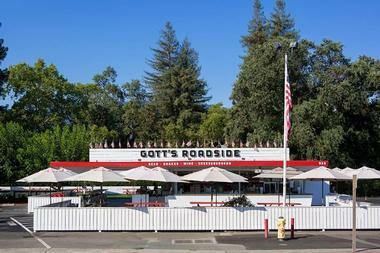 Whether you are a local or international tourist driving through Napa Valley, Gott’s Roadside is the ideal place to relax for a snack, lunch, or even a chilling drink on a hot day. This burger joint has a way of giving hotdogs, onion rings, hand-spun shakes, and even cheese burgers that extra-special subtle taste that will leave you craving more. Chinese chicken salads and crispy Ahi Poke Tacos are made using local ingredients, while California centric wines, such as Napa Valley Cabernet Sauvignon and Anchor from San Francisco, add to the local American flavor. Skyline Park provides a fascinating and thrilling experience to add to your camping activity. Tent camping is provided, with a range of amenities to suit every budget, and horse camping is a welcome and captivating activity. There are trails convenient for hiking, biking, and horse riding as well as recreational activities such as disc golf, archery, and the Martha Walker Native Plants Garden. Skyline Park is open for the larger part of daytime and operates from 8 am to 7 pm during summer, closing only slightly earlier during fall and winter. Known locally as the ‘Inn of the Sun’, this hotel offers a vivid illustration of a sunlit hotel. Set among the vineyards, guests can take in the exquisite views that bring to mind the natural essence of the wine they may be sipping. The cozy Michelin-starred restaurant and spa, swimming pool, outdoor sculpture garden, and yoga pavilion provide just the relaxing mood. Other recreation can be found at the fitness center, tennis court, or through the use of one of the complimentary Mercedes-Benz vehicles. Other complimentary amenities include a live fireplace and in-room iPads, making this hotel perfect for a memorable vacation. 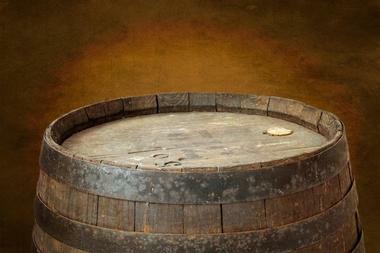 The Calistoga Brewery was the first commercial beer brewing establishment in Napa County. Due to its long experience in brewing beer, the brewery has been able to develop some of the best beer brands in the region, such as Calistoga Wheat Ale, Pilsner, and Porter. During specific seasons, the brewery offers special beers such as the German Kolsch, Blitzen I.P.A, and Belgian Pale Ale. The brewery also sells 22-ounce bottles, all hand-filled. There are two bars for different beers, a new air conditioned pub and a patio, to suit the tastes of the guests. Picnics on the beach, biking in Napa Valley, and hiking up Palisades and Mt Helena represent great perquisites for the cold drinks on offer here. Though the Hess Collection Visitors’ Center was affected by the earthquake, it was rebuilt in September and has since been certified as sustainable. Mt Veeder Winery and Vineyards have also been re-certified as sustainable by the California Wine Growing Alliance and were the first to receive certification as a Napa Green Winery. 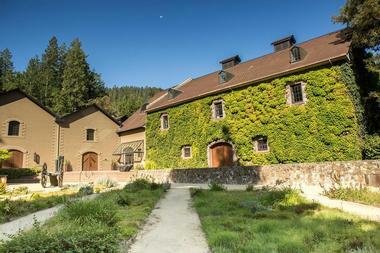 The winery has taken on a code of sustainable wine growing practices. For instance, it releases a herd of goats into the Veeder Estate Vineyards for weed control and uses cool fermentation and inoculated yeast, adding to the methodology of winemaking. 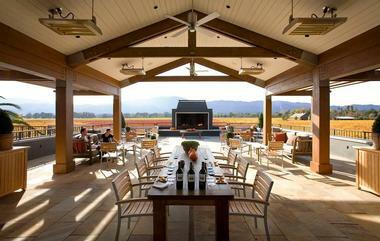 A variety of exclusive wines is provided, among them Pinot Gris, Albarino, and Viognier. The Uptown Theatre provides live entertainment, showcasing some of the best music and comedy and hosting some of the most popular artists from California and other states in America. The theater is designed in such a way that the last row is less than 100 feet from the stage, providing each member of the audience with an unobstructed view. There is plenty of street parking around the theater in the evening and there is an even larger free parking garage at the corner of Franklin and Clay streets. A clear map guiding you to this popular and famous theater is available online. Napa Valley Balloons gives guests the chance to see the panoramic aerial views of Napa Valley. The balloons are well designed, allowing all passengers a clear view and the flights last one hour, after which the guests can indulge in a post-flight breakfast at the prestigious Domaine Chandon. Guests also receive pre-flight tea or coffee and pastries if they arrive early. A ride in a standard balloon costs $239, however a private flight for couples is available at $2200 for two, perfect for marriage proposals, honeymoons, and other special occasions. Guests receive in-flight photos and champagne flutes on request, in addition to a Certificate of Ascension. 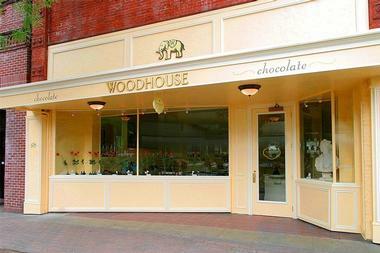 Woodhouse Chocolate allows you to shop for a variety of chocolate bars and barks under one roof and is one of the best chocolate stops in Napa Valley, with chocolates in various shapes and sizes offered in beautifully designed boxes. Shoppers can also shop for party gifts and favors as well as seasonal boxes of chocolates. Woodhouse Chocolate is definitely a great stop on a family outing to stock up on chocolate bars, truffles, and a caramel collection for enjoyment during the drive. These refreshing snacks offer a relaxing and cool experience after a long and tiring day and there is even a champagne drink to go with your chocolate. The Petrified Forest National Fossils Day provides an opportunity to have a diversified experience and learn more about fossils, the fossilization process, and how it relates to nature as well as the environment of petrified trees and the plant life in the region, which has a more than 3-million-year a history. Guests interested in this history can see the petrified redwood trees arranged together in a grove. A walk through the site also offers a view of an array of redwood trees that grew here 3.4 million years ago and were turned to stone by a volcano and its ash fall. A naturalist guides people through the grove and a self-guided tour is also possible. Oakville Groceries is one of the longest-standing groceries in California, having been established in 1881. It offers a collection of some of the best farmer products in the area, usually fresh and in a wide variety. Talented artisans display their unique artwork in Oakville Groceries, while purveyors from Napa Valley and Sonoma Valley grace the grocery with their outstanding products. Oakville Groceries was recently renovated to suit the current local trend and now draws more people and is able to accommodate a wider variety of products. 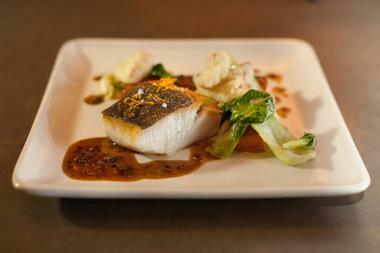 Local foods and salads, entirely reminiscent of California, are even available for online viewing. 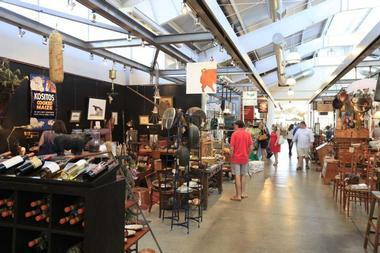 This merchant is located just half a mile from downtown Napa, inside the main Oxbow Market. Its list of products hosts a wide variety of light foods and wine. The merchant is also a local hub to which people flock on Fridays and weekends and is popular for its ability to provide both local and international wines. Guests are also encouraged to ask for recommendations based on specific wines to suit their interests. Panini sandwiches and cheese are a favorite lunch item which you can either take home or have packed as a take-away meal.